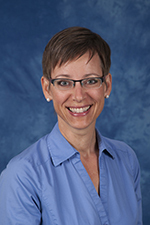 Amy is the Program Director and joined Forbes Family Medicine after 11 years as family medicine faculty and associate director in a Philadelphia area residency program and 3 years as family medicine faculty at the University of Pittsburgh Medical Center. Originally from rural Upstate New York, she graduated from Cornell University and the Medical College of Pennsylvania (now Drexel University). She completed residency at VCU Fairfax Family Practice in 1999 and faculty development fellowship at Virginia Commonwealth University in Richmond, VA, in 2001. Amy has provided comprehensive family medicine, including inpatient, outpatient, and family-centered maternity care throughout most of her career. Her interests include resident leadership development and integrating medical and psychiatric care in the family medicine center. Amy serves on the board of directors of the Family Medicine Education Consortium and is a regular contributor to American Family Physician. 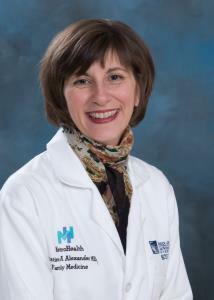 In 2012 she received the Exemplary Teaching Award from the Pennsylvania Academy of Family Physicians. Amy enjoys family time with her husband and 4 children (born 1993 to 2002), horseback riding and any home improvement projects that involve power tools. I grew up in Upstate New York (i.e. not “the city”) where my father was a college professor and my mother mostly stayed home with my sister and me. Both of my parents were born and grew up in India and all things Indian remained an important part of my upbringing. I developed my own connection to India as a Rotary Exchange student between high school and college and returned to South Asia as a Fulbright cholar in Sri Lanka after receiving my bachelor’s degree from Tufts University. It was during my time in Sri Lanka and through work with UNICEF that the idea of becoming a doctor first entered my head. That major course correction required a return to school and a post-bacc pre-med program where I met my wife, Cindy Dechenes. We both also then met the US Air Force who helped to fund the remainder of our medical education. We had our first child (son, Kadin) during medical school and the second (daughter, Elina) during residency. The Air Force was a great place to raise our young family and we thoroughly enjoyed our tours in Northern California, the “pan-handle” of Florida, and Germany. But after 10 years of moving frequently, it felt like time to come back home to the Northeastern US. My wife is the Mainer in our family, but Maine does not feel all that different from Upstate New York. When we separated from the Air Force we knew that we wanted to be in New England and I knew that I wanted to be on a residency faculty. The Northern New England academic family medicine community was a great place to land and Maine truly is "the way life should be". As of October, 2018, I am very excited to take over as the Director of MDFMR. It has a storied history ("Heirs of General Practice"), a great mix of faculty and staff, interesting and diverse residents and a strong commitment to serving the underserved and working toward better health for our communities. It is a great environment for learning family medicine and it is a pleasure and a privilege to come to work every day. My wife and I are both runners and have run 5 marathons and several half-marathons together. Maine is a beautiful place to run, as well as kayak, ski and hike. It’s a good thing we like to run because we also like to eat and there is lots of great local food! As our history implies, we are also big travelers and ] seize every opportunity to sample a new destination. Medically, I am interested in the clinical decision making process and how we reconcile the uncertainties and ambiguities that are an inherent part of family medicine, trying to figure out the best ways to measure health” and capitalizing on the power of the patient-physician relationship. "I chose to become a Family Physician because I love the opportunity to develop ongoing relationships with patients and families. I provide maternity care because I enjoy working with women during pregnancy, delivery and afterwards with their babies. I believe that each of our life stories, born from our life experiences, shape who we are as individuals. These experiences affect our health and how we respond to events in life. I believe that individuals are in charge of their own health. I see my role as an advisor to assist patients in making their own healthcare and lifestyle choices." Dr. Kaye earned her bachelor of science degree in biology, with honors, from Brown University in Providence, RI. After completing her Doctor of Medicine at New York University School of Medicine in New York City, she completed her residency in family medicine at Overlook Medical Center, where she was chief resident. Her fellowship in faculty development was completed at the Family Practice Faculty Development Center of Texas in Waco. 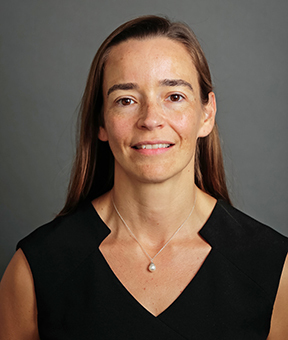 Dr. Paladine is a family physician who lives and practices in Manhattan, New York, where she is the residency program director at the New York Presbyterian - Columbia Family Medicine Residency Program. She supervises residents and medical students and treats a predominantly Latino, low-income patient population. She focuses on women's health, including maternity care and reproductive health. 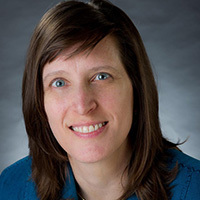 In addition to her work on the FMEC board, she is a member of the boards of directors of the New York State Academy of Family Physicians and the Society of Teachers of Family Medicine. She believes that the United States needs a health care system based on primary care and that the public must learn more about family medicine to pave the way. Jennifer Sparks, MD, FAAFP, is a native Floridian who has fallen in love with New England. She trained with the University of New Mexico, and then transitioned to New England for fellowship training and has been here for 10 years. She is currently a medical site director at the Greater Lawrence Family Health Center and community faculty for the Lawrence Family Medicine Residency. Outside interests include international travel, running with her partner Hicham, board membership for the Family Medicine Education Consortium, and serving as a commissioner on the Commission of Immigrant Rights and Citizenship for the city of Cambridge. Molly Talley joined PAFP in 2003 as the lead staff liaison to residents and students. A non-physician, Molly brings a professional background in behavioral health, marketing and association management. With PAFP, Molly helped build a network of Pennsylvania's Family Medicine residency programs and medical schools to collaborate on the effort to strengthen student interest in Family Medicine and build initiatives to support the professional development of residents. Throughout her tenure, Molly has presented at medical schools and residency programs, regional and national conferences on topics related to Family Medicine, leadership and advocacy, and strengthening the workforce pipeline. She values collaboration with like-minded organizations like FMEC, AAFP, Primary Care Progress, and other primary care advocacy organizations to build coalitions and amplify our message. Together we are stronger. Dr. Warning is the Program Director of the Crozer-Keystone Family Medicine Residency Program located in suburban Philadelphia, a position he has held since 2000. 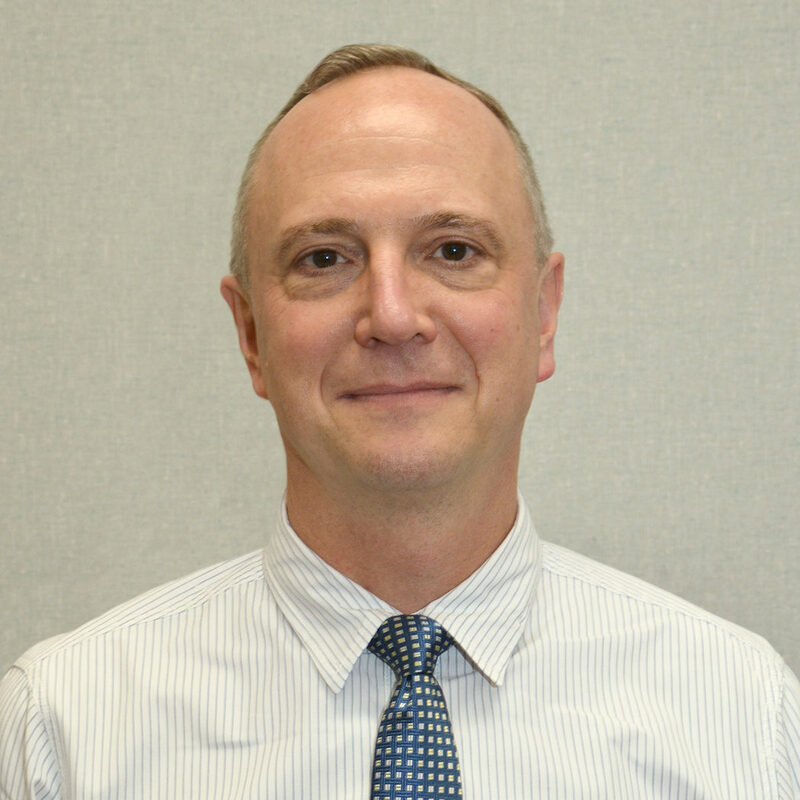 He is also the Faculty Chair of the Pennsylvania Academy of Family Physicians (PAFP) Residency Program PCMH Collaborative, the largest Family Medicine Residency collaborative in the country, which he initiated in June 2010 and expanded to include Community Health Centers in June 2011. He is a speaker both regionally and nationally on PCMH implementation and “true” transformation topics as well as interprofessional team-based care.Dr. Warning is the Lead Physician in one of the first Family Medicine Residencies in the country to achieve Level 3 NCQA PCMH Recognition in April 2009. His office was selected to participate in the Pennsylvania Chronic Care Initiative (CCI) in May 2008 and in the CMS Multi-Payer Advanced Primary Care (MPAPC) Demonstration Project in January 2011. Dr. Warning serves on the Steering Committee and Physician Advisory Group for the PA CCI and CMS MPAPC projects.Dr. Warning serves on the Board of Directors of the Family Medicine Education Consortium (FMEC) and is a Physician Leader in the FMEC SuperUtilizer Working Group. Dr. Warning created a “Healthcare Hot-Spotting and SuperUtilizer” Fellowship in June 2012 in collaboration with Jeffrey Brenner, MD and the Camden Coalition of Healthcare Providers.As the Principal Investigator for a HRSA Primary Care Residency Expansion (PCRE) Grant, Dr. Warning was able to increase his residency program by 6 Family Medicine trainees in 2010. Dr. Warning is past-Chairman of the Assembly of Program Directors and Department Chairs of the Pennsylvania Academy of Family Physicians. He received the Gold Level Program Director Recognition Award by the Association of Family Medicine Residency Directors in 2010.Dr. Warning graduated from Jefferson Medical College in Philadelphia, PA and completed his Family Medicine Residency training at Lancaster General Hospital in Lancaster, PA. He is board certified by the American Board of Family Medicine with a Certificate of Added Qualification (CAQ) in Sports Medicine. Dr. Warning also received a Certificate of Medical Management from Carnegie Mellon University in Pittsburgh, PA.
Dr. Aaron George is the Director of Medical Education and Assistant Program Director for the Meritus Family Medicine Residency Program. 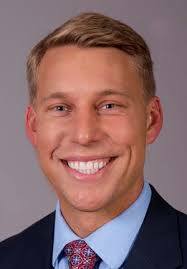 He is a 2012 graduate of the Philadelphia College of Osteopathic Medicine and subsequently obtained his Family Medicine Residency training at Duke University Health System. Dr. George was an Andlinger fellow in health policy with the Center for Public Health in Vienna, Austria where he worked on primary care workforce and academic development. He recently served on the payment and practice tactic teams for the Family Medicine for America's Health program, and is a regular contributor as author to Medical Economics. He is also a clinical Associate Professor at Penn State College of Medicine where he teaches graduate coursework on the history of medicine. He has been awarded the FMEC Emerging Leaders award, the Bristol-Myers Squibb award for excellence in graduate medical education, as well as being named one of the 40 under 40 physicians by the Pennsylvania Medical Society. His areas of interest include advancement of community and population health as well as health policy and economics. He resides in Hagerstown, Maryland. Leon McCrea II, MD, MPH, is an associate professor in the Department of Family, Community & Preventive Medicine, and the director of the Family Medicine Residency program at Drexel University College of Medicine. He also serves as assistant dean for diversity, equity and inclusion. He is a key part of the Drexel Pathway to Medical School team, managing the faculty mentorship aspect of the program, and is involved with the Drexel Black Doctors Network student group, promoting the organization to other physicians. Dr. McCrea is the faculty adviser for the Family Medicine Interest Group and a volunteer preceptor for the student-run Health Outreach Project clinics. 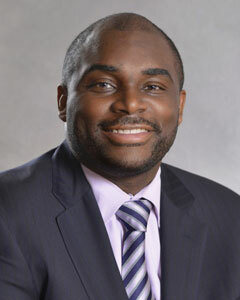 He currently serves as chair of the Graduate Medical Education Committee on Resident and Fellow Wellness. 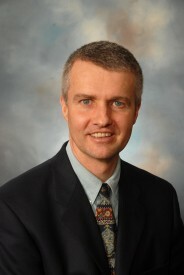 He is also the course director of the Clinical Internship Scribe program, a collaboration with Holy Family University. Prior to coming to Drexel, he was a member of the clinical faculty at Crozer-Keystone, during which time he had numerous teaching responsibilities. He served as the associate program director of the residency program from 2012 to 2015, rotation director for the Center for Family Health from 2014 to 2015, and the medical student clerkship director for third- and fourth-year medical students from 2010 to 2012. He received the Resident Teacher Award from the Society of Teachers of Family Medicine in 2010. Get to know the FMEC Annual Meeting! Family Medicine Education Consortium, Inc.